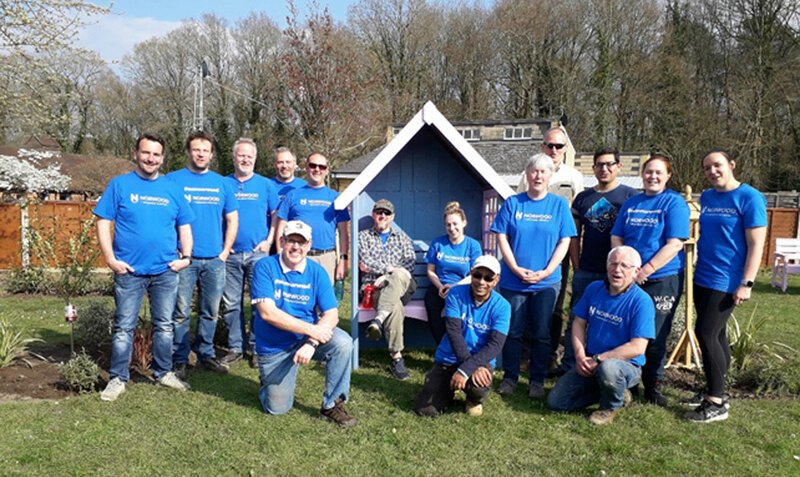 Fifty of Vodafone’s volunteering heroes took part in a relay over four days to transform two care home gardens in Berkshire. In total, the volunteers dedicated 275 hours to creating an inviting and inspiring outdoor space for residents to enjoy. The gardens belong to Copper Beech and Orchard, two care homes at Ravenswood, Norwood’s collection of homes for people with learning disabilities and autism. The Copper Beech back garden was a blank canvas and presented a really good opportunity to transform the space into something more usable for the residents, as well as their families and staff. Each day the teams were split across the two services and undertook a variety of tasks – including sanding and staining wooden furniture, painting fences, building a planter, staining parts for a new arbour donated by one of the resident’s families, digging new flowerbeds and planting plants and trees, as well as tidying up the gardens. They also worked in one resident’s garden to create a new flowerbed and to stain fences. Vodafone also generously donated more than £400 worth of materials that were used across the project. Vodafone volunteers have been vital and long-term supporters of the Ravenswood community.